A picture story for Thanksgiving. 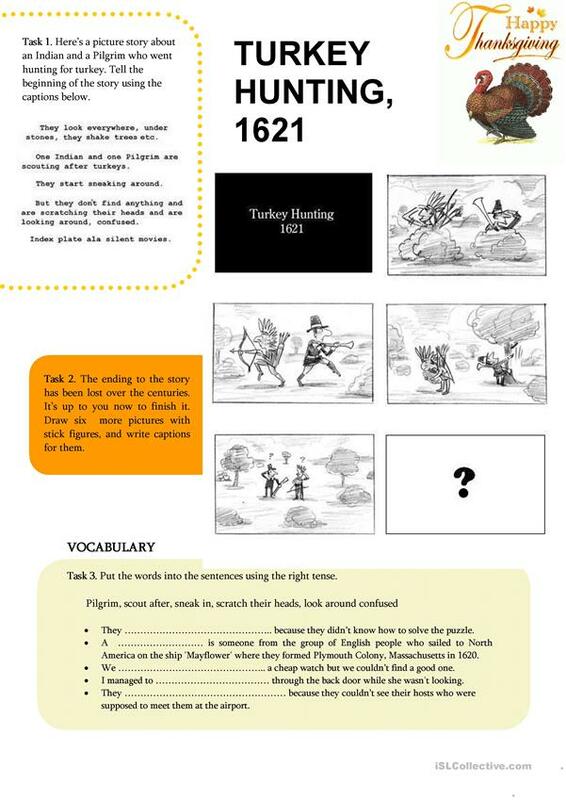 WeÂ´re in 1621 when an Indian and a Pilgrim goes hunting for turkey. They scout, they sneak around, they shake the bushes, but no sign of the turkey. How does the story continue? Your Ss have to finish the story by drawing stick figures and writing captions for them. Page 1. is the pictures. 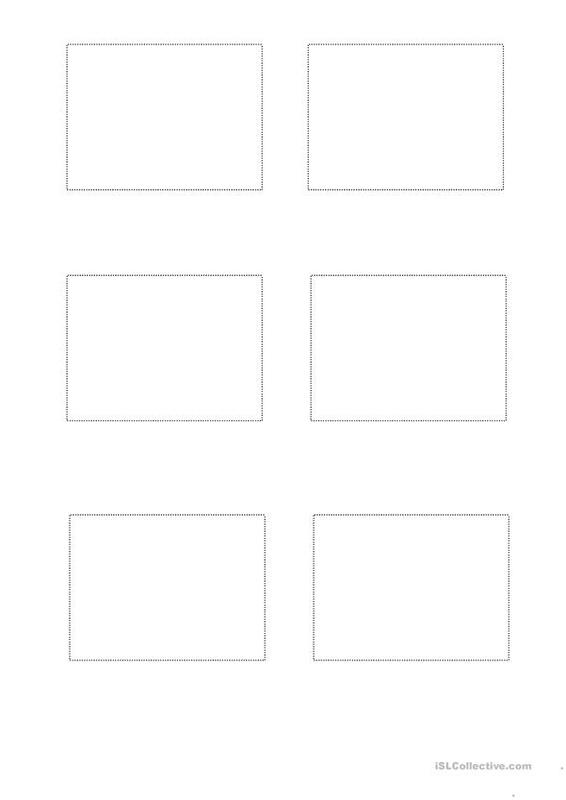 Page 2. has blank boxes for drawing. Page 3 offers one possible ending for the story. This downloadable handout is recommended for high school students and elementary school students at Elementary (A1) and Pre-intermediate (A2) level. It is a valuable material for enhancing your class' Speaking skills. It features the theme of Storytelling and Thanksgiving. The exercises come with the answer key.